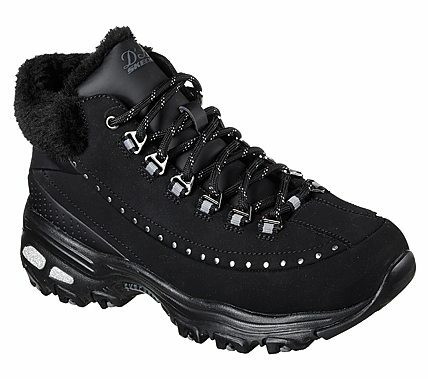 Classic casual style and warm comfort combine into the SKECHERS D'Lites boot. Smooth nubuck leather upper in an ankle height lace up casual cool weather lace up boot with stitching and overlay accents. Faux fur trim and lining, Warm Tech Memory Foam insole.